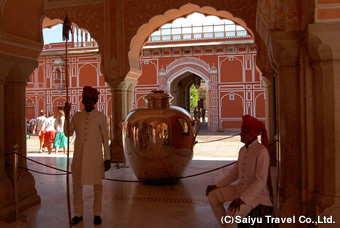 A customized tour with a private car and guide. •	An early morning car pick up from your desired location in Delhi / NCR. 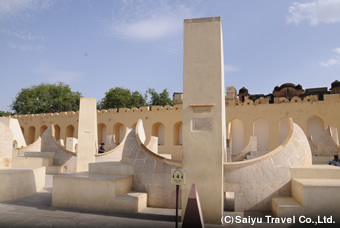 •	Proceed for sightseeing complementing world heritage sites of Jantar Mantar along with City Palace & Hawa Mahal. 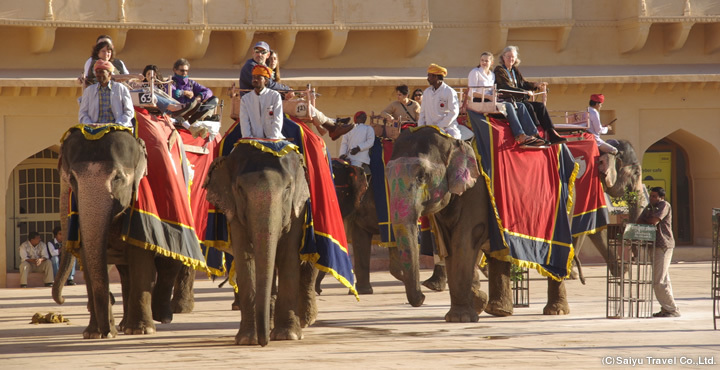 Delhi •	In the morning after breakfast, endure the beauty and elegance of Amber Fort on a hill in the suburbs of Jaipur, added with an elephant ride. 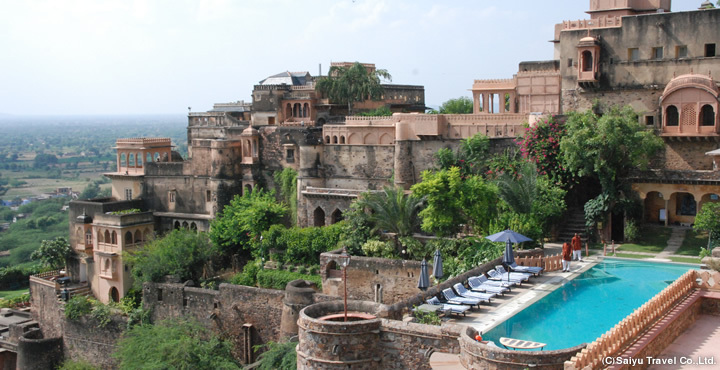 •	Halt for lunch in Neemkrana Fort Palace, a hotel to which a 15th century graceful fort palace got redecorated. **Air tickets can be arranged on request based on best available airfare. ** 5.0% government service tax would be applicable on the prices above . ** For children or an extra bed, kindly get in touch with us. 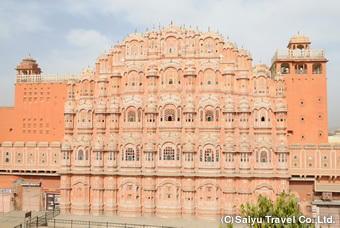 Jaipur is the capital city of the state of Rajasthan and is also termed "Pink City" for its stamped color of the buildings made of red sandstone. You would enjoy and relish the colorful old markets and the centenarian monuments with overwhelming artwork. 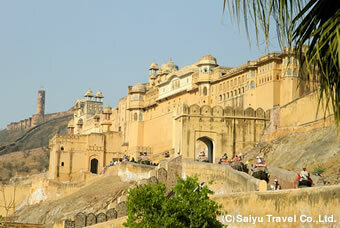 Amber Fort is one such memorial that was designated as the World Heritage site in 2013. It is a palace built of high walls with latticed windows also called “Jharokas” for royal women to behold every day’s life on street without being seen from outside in order to obey the “Purdah System” of covering their faces from the outside world. 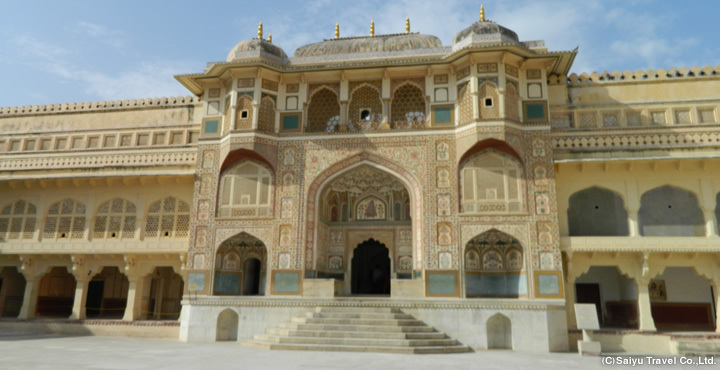 Amber Fort is popular for its royal architecture that manifests the whisk of Rajput style of arts. It is the most astonishing architecture of nineteen astronomical instruments. A similar observatory was constructed in Samarkand in Uzbekistan 300 hundred years before it was modelled in India to Jantar Mantar. City palace built in 1733 is not just a palace but a township of multiple palaces one inside the other with separate zones for every royal individual enclosed by their own boundaries. 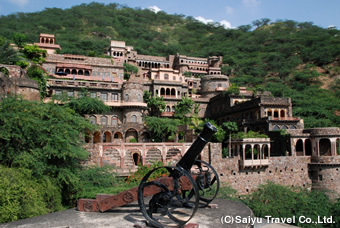 Neemrana Fort Palace is one of its kinds with decoration and ambience dating back to hundreds of years ago. 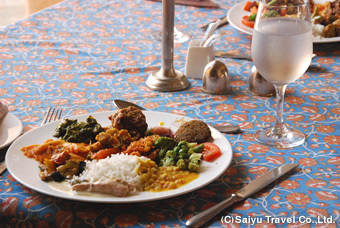 Savor the lunch in a hotel that got re-decorated as per the 15th century graceful fort palace. Lunch is served in the buffet style with sophisticated Indian cuisine.